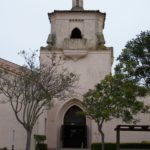 Guadalupe is fortunate to be within a few minutes of world-class birdwatching destinations, including Oso Flaco Lake and the Guadalupe-Nipomo Dunes National Wildlife Refuge. Here are some feathered residents of the area. 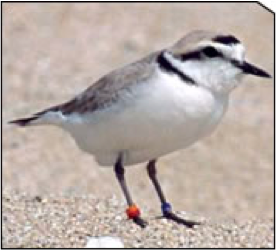 The snowy plover is a small, sparrow-sized shorebird, with pale gray-brown coloring above and white below, with a white hind neck collar and dark lateral breast patches, forehead bar, and eye patches. The bill and legs are blackish. Threatened species. Individuals nest on the mainland coast, peninsulas, offshore islands, bays, estuaries, or rivers of the United States Pacific coast and Baja California, Mexico. 9” (23 cm). 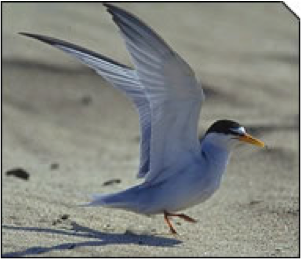 A very small, pale tern, with a yellow bill, yellow feet, and a white forehead. Flight more fluttery than that of other terns. Immature: Dark bill, dark nape, much dark on forewing. In the fall, all birds may have dark bills, but feet still show yellow. Sea beaches, bays; large rivers, bars.